Over the past several years there have been conversations about creating pay guidelines as a requirement for the Helen Hayes Awards. Briefly, the history of the conversation dates back to August of 2013 when after receiving input from some of the larger theatre companies in the area, theatreWashington and its Board of Directors decided to consider changing three things about the Helen Hayes Awards: divide the awards based on the size of the institution; change the process of how judges are elected to serve; and consider compensation in the definition of professional theatre. Two out of three major items involved in the restructure of the awards were initiated in the 2014 calendar year. 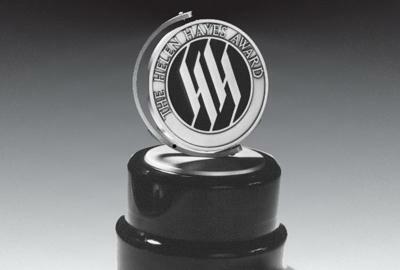 Splitting the awards into the Helen and the Hayes awards created two categories based on equity and non-equity contracts, which resulted in doubling the number of awards. The second change involved the revision of the judge selection process to empower the artistic directors in the selection of the judges was also implemented in 2014. The third change, initiated but not completed, was to examine criteria for professional compensation. In December of 2014, a document was distributed that articulated compensation levels based on job titles. It was decided by the Board of Directors and the staff of theatreWashington to delay implementation until the recommendation of how to define professional compensation could be reviewed further. In the beginning of 2016 the Board of Governors, a committee of theatre Washington composed of seventeen from diverse theatres in the area, and led by Abel Lopez of Gala Hispanic Theatre, took on the work of re-examining the issue. After several meetings, and much discussion, It is was decided by the committee, the staff, and the Board of Directors that to better serve the community of artists and theatres, we state general expectations of professional compensation rather than set specific levels as part of the awards criteria. The 2017 award criteria was updated and includes guidelines, for the purpose of the Helen Hayes Awards, to define professional as having appropriate non-profit status, or commercial business licensing, and require payment to all artists. There are other criteria including paying for rights. We will continue to look at the issue of professional compensation. What the conversations uncovered was having specific levels of compensation as part of the criteria for awards was cumbersome to execute, and may not result in significant changes. In the ongoing efforts to build a strong regional theatre community, we will continue to address compensation without having specific levels of pay tied to the awards. If you have questions or comments, please email me, Amy Austin, aaustin@theatrewashington.org, or give me a ring on my cell phone at 202-491-1685.